12 posts are filed under this symbol. October 31, 2006 7 Comments CSCO, TIVO, VZ. 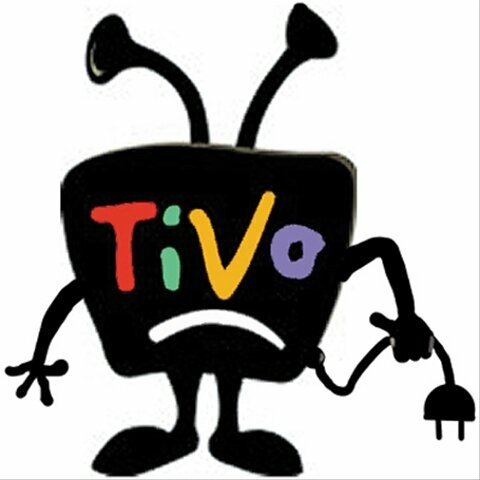 I’ve pulled the plug on Tivo (TIVO) after three years of great service. With my recent FiOS TV subscription, I needed HD capability and I cannot justify paying $800 for hardware I get for free from Verizon (VZ). I just wish I had tried to cancel my Tivo service earlier as they offered to cut the per month fee in half if I stayed. That’s a bad leading indicator for the health of this company. September 22, 2006 1 Comment AAPL, AMZN, CMCSA, CVC, TIVO. An interesting piece of news speculates Amazon (AMZN) may be partnering with Tivo (TIVO) to use their DVR platform. September 15, 2006 10 Comments AAPL, MSFT, TIVO. August 18, 2006 Post a comment TIVO. A final injunction has been handed down by the Texas court handling the Tivo-Echostar patent infringement case. Echostar will not only pay $89M in cash damages, but will also have to disable nearly all customer DVR’s in the field within 30 days. In a press release, Echostar will now appeal at a federal level. They also indicate that existing customers are not impacted by this court order, even though a scan of the court order clearly shows that they must cease operating all but 100k+ of their DVRs. That’s right, they need to settle or shut down all of their customer DVRs. May 18, 2006 3 Comments TIVO. Davis Freeburg, the best Tivo (TIVO) blogger on the planet, has a thoughtful post at Thomas Hawk’s website. He draws parallels between the advertising ‘upfront’ media buys and where Tivo is eventually heading. All and all it is interesting watching TiVo as the vanguard of where advertising is headed on your television. Advertising, ironically enough for an ad zapper, is probably more important to TiVo than just about anything for them right now. While TiVo makes far more money from a standalone subscriber, the explosion of TiVo users in the years ahead are more likely to come from the major cable deals that they are striking with folks like Comcast (and many more surely to come shortly). In these deals TiVo makes much less money per subscriber but is entitled to valuable advertising revenue from a far greater audience. Davis appears to be of the opinion that Tivo can have it’s cake and eat it too – win big deals with companies like Comcast while extracting ad revenue bundled with broadband content distribution.